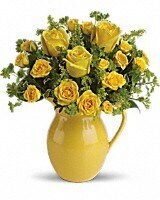 Want to make any day sunny for someone special? 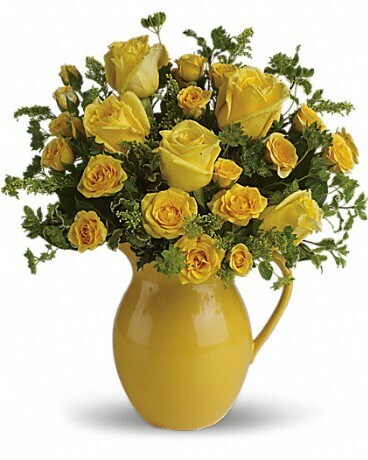 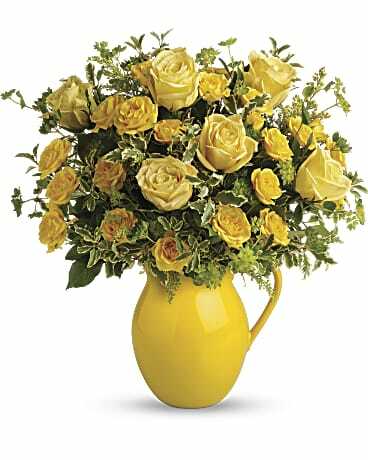 Simply have this cheerful pitcher of bright yellow roses hand-delivered to them and they will bask in its warm glow. Just think: No SPF needed!